I think these were my FAVORITE! They are so PRETTY: pink background with a green paisley design. I use clothespins to close various bags in the kitchen, and these will be MUCH more pleasing to the eye than the plain brown ones! Thank you again, Lovely Person, for brightening my (and my children's) day!! 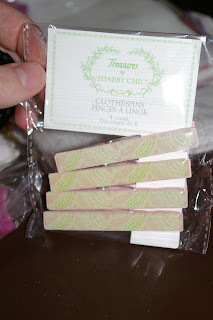 I was all over those clothespins at the store! I know where they're from!!! :) Super pretty. I use clothespins to close bags in the kitchen, too. 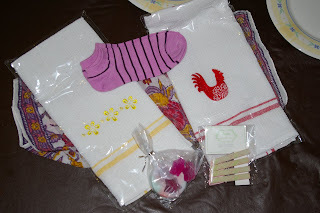 Those are awesome CDP ideas--thank you to you and Superjules!